June 17, 2009 Adri H.
So, the first version of Stitchin Crochet is here! 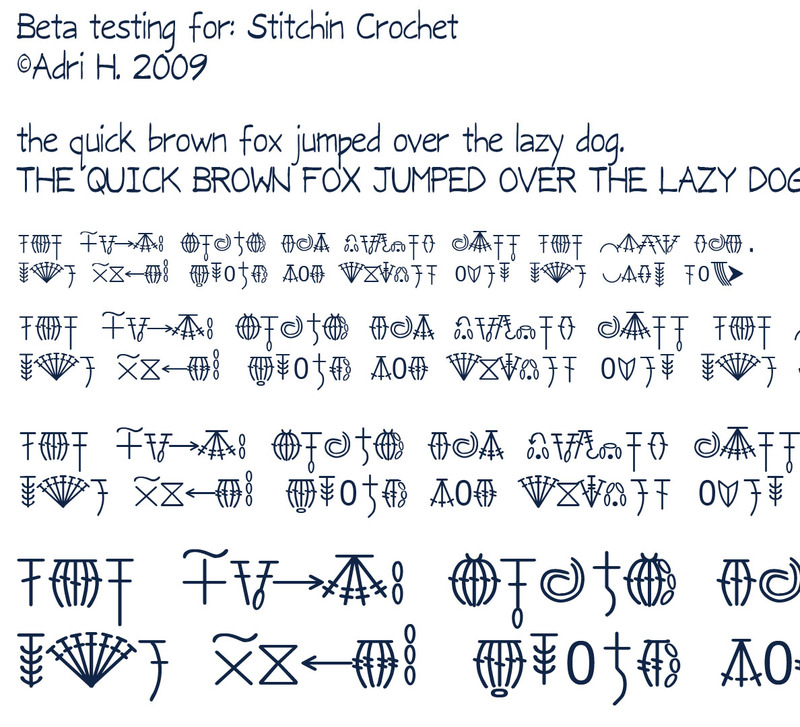 Last night I finished the first of three fonts for the "Stitchin" font family that will cover crochet, knitting, and knitted cables. Here is a sample preview! Note that this sample does not include all of the glyphs/symbols in the final font. In fact, it contains about half of them. 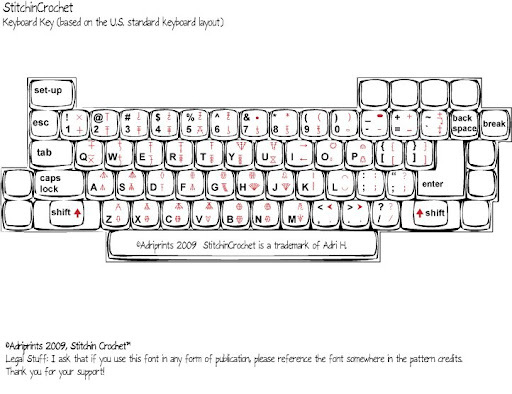 Check out the keyboard layout for more of the symbols. Stitchin Crochet is available for purchase here.